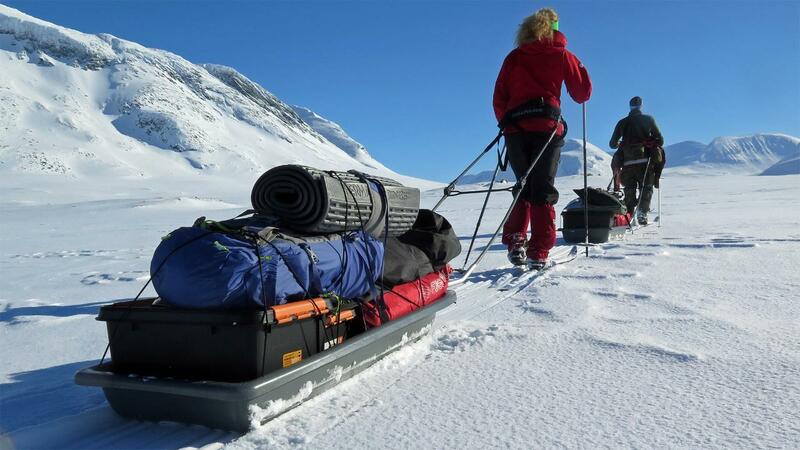 Fjellpulken transporter 155, including pulka, packbag, pulling equipment and harnes. Pack volume 300l, weight 3,3kg (only sledge). Any extra pick up cost will be charged separately. Please contact us for longer rental periods or group bookings. Online bookings can be made latest 7 days before picking up the equipment. For later bookings please contact us.